We have stopped Trump’s militarism parade and will take back Armistice Day and secure the peace! Join Us In Protest, Resistance and Revolution! Currently Scheduled For Nov. 11th, 2018 In Washington DC and across the nation. Stop the glorification of war. Divest from the war machine and use public dollars for human needs and protection of the planet. End the wars at home and abroad. Friday, Nov. 9, 2018 – Peace Concert and Peace Art at Catharsis, 5:00 pm to 1:00 am on the National Mall near the Washington Monument. Saturday, Nov. 10, 2018 – Rally and protest during the military parade along the route. Exact location to be determined. Sunday, Nov. 11, 2018 – Silent march led by veterans and military families. Location to be determined. 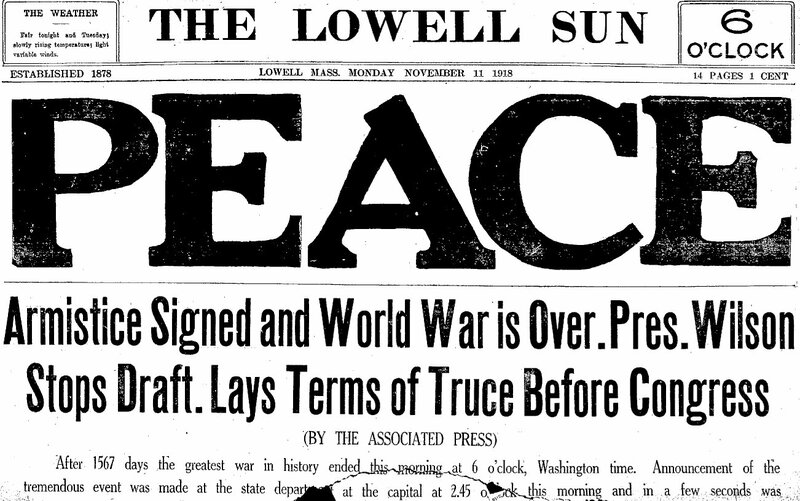 the 100th anniversary of the armistice that ended WWI. We are joining together to make the response to President Trump’s military parade bigger than the parade itself would have been. On the eleventh hour of the eleventh day of the eleventh month on the 100th anniversary of the Armistice that silenced the guns of the “war to end all wars,” we will march in silence to reclaim the Armistice Day promise of peace. Armistice Day was renamed Veterans Day following the Korean War, most likely to energize the country for upcoming conflicts and to embolden young men who were subject to the draft. We are not attempting to ignore or discredit Veterans Day. However, we believe that Veterans Day has been seized by those who love war, profit and power; “honoring” veterans has simply become a one-day photo-op for generals, politicians, celebrities and mattress companies. We, the veterans, are the product of war. We demand peace. The Veterans Peace March will be veteran-led. Supporters are urged to attend and march, but do so with respect to the veterans in the lead, and also respect the complete silence of the veterans as they march. We will begin marching at 11AM, in silence, from the Washington Monument. We will then cross the Memorial Memorial Bridge to Arlington National Cemetery where we will leave a poppies at selected grave sites. Our goal is to challenge war. We will march in silence to counter the clamor for war. The remembrance poppies are to honor the warriors (Red), the massive civilian deaths (White), and the resisters who opposed the war (Black) … and not the war. Please join us in Waging Peace. wars of aggression, secure the peace and invest in people and planet Earth.